At age 27, Ahuva Rachel Prager was diagnosed with metastatic breast cancer. 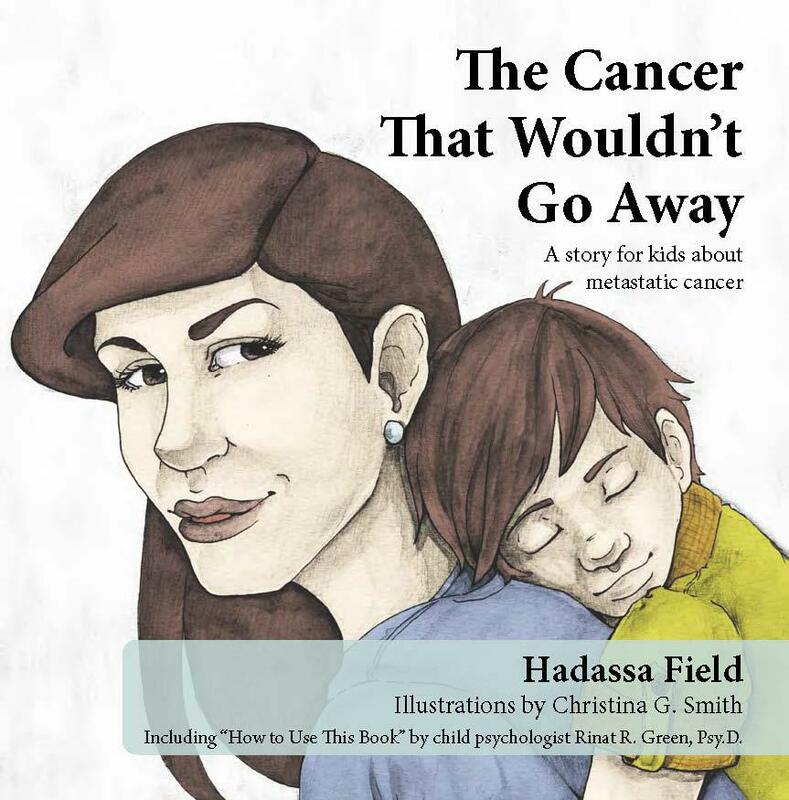 She couldn’t find any books that would help her explain her diagnosis to her children. Her sisters, Hadassa Field and Sara Mosak Saiger were determined to fill the void. But this time Mom’s cancer isn’t going away. And unlike the last time, Mom looks pretty good–she still has her hair and she’s driving the carpool, shopping and making dinner. She’s not spending all day on the couch like she did the last time. “Maybe this cancer thing is a mistake,” Max thinks to himself. I don’t have children so I’m not qualified to review the book from a user’s perspective. I did think Dad’s character is kind of underdeveloped. Sometimes Dad is tired and looks sad, but he remains mute–Dad never comments on Mom’s illness or actually says anything. He must be the strong and silent type! This is a wonderful resource. Thanks for the great writeup. Excellent resource! Have you contacted the Metastatic Cancer organizations like Metavivor? http://www.metavivor.org/ I’m sure they would love to promote this book! This is fantastic. The illustration on the cover alone puts the topic in context. I will share with my followers and fellow advocates. I would love one of these books to share with my 8year old little girl to help explain my MBC…How can I get one? This is my story! My son began this journey with me when he was 7. He is now 9. We are adjusting to our new way of life but this book would be helpful. Where can I get a copy?